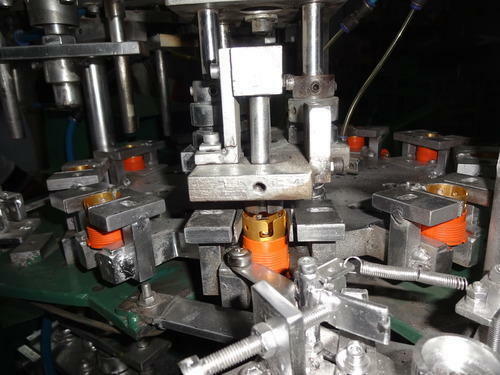 We are manufacturer of bulb holder assembly line. The holder aromatically arrange the holder parts and do punching automatically. Fully automatic machine. Speed can be varied from medium to fast. Enriched with years of Industrial experience, we Soham Tex Engineers. are a business entity to reckon. We are an ISO 9001:2015 Certified company, we have grown manifold since inception to become a well known manufacturer, exporter and supplier of Incense stick Making Machines. Our other products are AAC Block Plant, AAC Block Manufacturing Unit, AAC block machine. Further, in order to assure 100% client satisfaction, we provide customization as well as prompt delivery services, as per the specified requirements given by the clients. We are also offering Industrial Automation Services. Today, we are a globally reputed organization with a wide client network that is spread all over the world. We credit our success mainly to the dedicated approach of our highly experienced workforce. Our employees work in close collaboration with each other in order to assure 100% client satisfaction. We also have developed an R&D facility, where continuous research and analysis are carried out to come up with technologically advanced products as per the latest market developments.